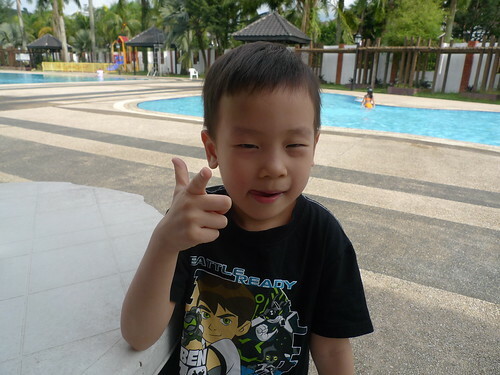 I brought Ryan to SLGCC with the intention to let him have a trial at the swimming lesson. My boy was all geared and was truly excited.Â We waited for 10 minutes then another 10 minutes and still no sign of any coaches around , which was strange, I decided to give one of the coaches a call. What a blunder. It was the 5th week and there was no swimming lessons on the 5th week. My boy was so disappointed. So I changed him into his swimming attire and allowed him to play in the pool for half hour. He refused to come out, until I hadÂ to bribe him we are going to check out the bowling alley. so has he started the lesson? Zaria refused to join in.